The Cherry Creek Arts Festival (CCAF), located in Denver’s Cherry Creek North District, continues to bring the world to Denver and Colorado since 1991. Also known as Colorado’s signature cultural event and America’s Most Honored Arts Festival, the CCAF garners recognition and respect at the local, state, regional, national and world-level with marketing and sponsorship arenas, as well as both the festival and visual artist industries. 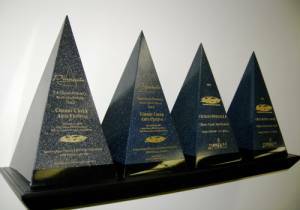 The Cherry Creek Arts Festival has been awarded the IFEA’s Gold Grand Pinnacle Award, the highest award in the special event and festival industry, an industry-leading five times. CCAF continues to be one of the most competitive shows for artists to apply for jury in the United States; an average of 2,000 artists apply for 260 spots. The artists generally come from 40 of the 50 states and several countries. The high application numbers are attributed to multiple factors: historically very high art sales potential (estimated over $3.2 million in sales for 2017 artists / $12,345 average sales per artist), consistently high national rankings and famous on-site artist amenities and hospitality. Higher than average sales are attributed to the event’s location in the heart of Denver’s beautiful and affluent district of Cherry Creek North, an educated art-buying audience of 350,000 annually, and a $900,000+ multi-media marketing and public relations campaign. The visual artists’ success is both the core value and measurement of success for the Cherry Creek Arts Festival. 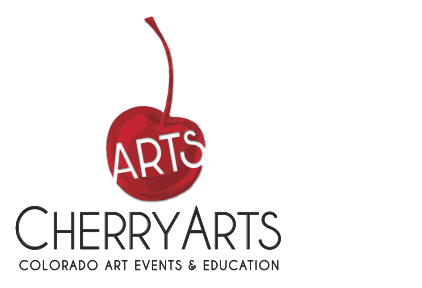 The Cherry Creek Arts Festival’s 501(c)(3) non-profit mission is to provide access to a broad array of arts experiences and support arts education in Colorado. In addition to the annual festival, the CCAF produces award-winning state and citywide programs including the Mobile Art Gallery, Janus Henderson Investors Student Art Buying Program, and African Rhythm Synergy – a program to teach students the art and history of music through dance and drumming. Through these programs, the CCAF reaches and touches 20,000 students and their parent’s lives annually. These programs are recognized and endorsed by school systems, other festivals and the Scientific and Cultural Facilities District (SCFD.) With appreciation to the Citizens of the Scientific and cultural facilities department.